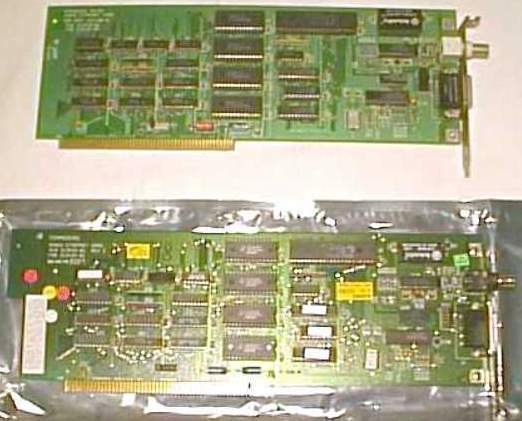 The A2065 is a full-length Zorro-II ethernet card. 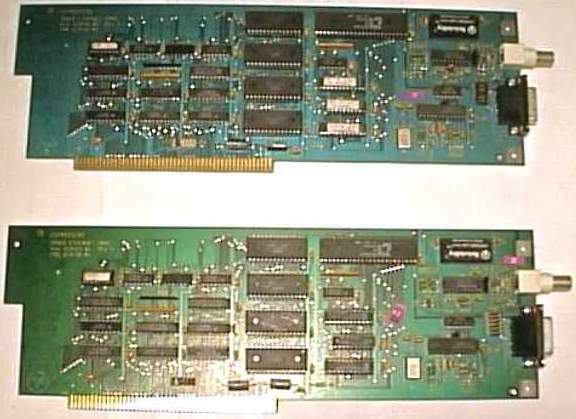 The A2065 hasn't been made in many years, but is still one of the most common ethernet cards for the Amiga, and infact was probably the first ever Amiga ethernet card. The firmware Ethernet address of the A2065 can be determined by taking the registered CBM block number (00-80-10) and appending the hex value shown on the sticker on chip U4. JP1-JP6: Interrupt (default is JP2). ABC Jumpers: Select Thick/Thin Ethernet. AB: Select BNC connector (thin Ethernet). BC: Select AUI connector (thick Ethernet).